2019 is near the hand. Everyone is in the spree of welcoming the new year with a new level of refreshing zeal and ecstasy. 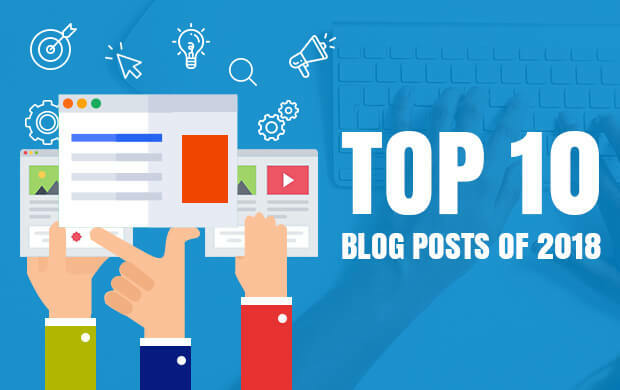 And as the entire hotel industry is gearing up with new plans and strategies, meanwhile; we thought to lend you a hand by sharing our top 10 blogs that hotels loved in 2018. With topics ranging from hotel management tips and tricks to the best revenue management strategies; the versatility of our blogs has garnered plenty of reads, recommendation, and credibility. RevPAR- A very important and inseparable segment of revenue management. Revenue per available room(RevPAR), ADR, occupancy percentage and other such terms are the key metrics to analyze your hotel’s performance and a significant part of revenue management. Each and every parameter has its individual importance. So this a blog that explains all about the RevPar right from the scratch to the core. A piece of comprehensive information on how RevPar is calculated, why it is important, and some best techniques to increase your hotel’s RevPAR. This blog will surely assist you to increase your RevPAR in 2019. 2. Benefits of TripAdvisor: How TripAdvisor listing and reviews help grow your hotel business? The Google for us is TripAdvisor for hotels. This metasearch engine poses significant importance for the hotels and is been ruling the hotel industry from past 18 years. Merely listing your hotel on this travel giant is not enough. With more than 9 million hotels listed on this metasearch engine, how to make your hotel discoverable or reach to the right audience? Apart from the listing, TripAdvisor bestows hotels with many other benefits that can bring more revenue and business to your door. This blog encompasses some useful tips and tricks that will help hotels increase its credibility on TripAdvisor, how to make the optimum use of various features of Tripadvisor and how it benefits your hotel. Read our second most loved blog and boost your ranking, reservations, and reviews on this most favored travel website. The entire management of a hotel is in hand of the hotel manager and only a smart hotel manager can handle an abundance of operations to the max. Here’s a blog that tells you the core and important duties of a hotel manager. If you are a hotel manager you can read and gauge if you ’re missing any one of your duty or not. If you are a hotelier you can check whether your hotel manager is performing his duties well or not. Besides, if you’re planning to appoint a new manager, then definitely this blog is a must-read. One of the most important blog to read before entering the new year. Revenue management is at the core of any hotel business. We know that the hotel industry is one of the most competitive industry and being a part of it is intensive and thrilling at the same time. But all of it can be one of your best rides if you plan your revenue management strategies on beforehand. The strategies listed in this blog would not only define your smartest move but will also prepare to for all the possible business adversities. For having yourself as one of the wisest hoteliers and making the best business out of all situations, this is a must-read blog. Online travel agents or more commonly known as OTAs have their unique significance in the hotel industry. One of the key reason is that OTAs control approximately 2/3rd of all online hotel bookings. Beyond that, they bestow hotels with ample benefits such as – more bookings, increased traffic, wider exposure, and the list continues. As a result, a proper inventory distribution on the these OTAs is a must-have for the hoteliers. But often in spite of distributing inventories on the OTAs, the hotels suffer from overbookings and under bookings. So, here’s a blog that defines some of the top mistakes that hoteliers usually make while distributing their inventories on the OTAs. The blog clearly defines the solutions to avoid those mistakes as we. So that the hotels can yield the most of these OTAs. This is a must-read for the hoteliers, as it will help you analyze whether you are not doing any mistakes. On the same lines, the solutions given will also help you to formulate the best distribution strategies. As a matter of fact, challenges are an inseparable part of the hospitality industry. However, to overcome these challenges along with a better business is itself a big challenge. On the other hand, the challenges coming your way are unpredictable and non-steady. So how to deal with all these challenges successfully and bring home the bacon. Having said that, read ahead the blog and know the most common challenges of hotel industry as well as their solutions. Yield management is a term used for variable pricing. The main idea of yield management is to sell a product or service to the right customer, at the right time, and at the right price. The hotel industry, being a dynamic one; faces a lot of ups and downs in revenue generation throughout the year. Yield management is one such practice which pulls hotels out of this jumble, all the while ensuring that they don’t face any loss. This blog explains all the hows and whys of the yield management in the hotel industry. It has encircled some of the best yield management strategies to increase a hotel’s revenue and business. Moreover, it also distinguishes clearly between yield management and revenue management. Right from how to put yield management into practice to its benefits for the hotel, the blog has covered all the essentials of yield management. Read ahead and get fully acquainted with yield management in the hotel industry to the core. In this tech-era, when the technology can help you remember where you have kept your passport in your luggage, don’t you think you too have to walk hand in hand with this advancing technology? Moreover, These days the guests are using multiple digital platforms for and expect to engage with the hotels seamlessly across all of them. But how to stay updated with the latest trends of hotel industry? So this blog has all the latest hotel industry trends that you need to focus on for your hotel growth. 9 hotel industry trends to modernize your hotel management and get along with the latest trends for a better business. Implementing these trends in your hotel management you can deliver a stellar guest experience. Well, how you measure your hotel’s performance? Besides, While planning the strategies to expand your business and increase your revenue, what are the different parameters you take into consideration? All these questions are so daunting, but to strive in this rat race, it is very important for you to look into such aspects for a better business and enlarged revenue. This is a blog that explains in detail about how you can take up different decisions after inspecting your revenue reports. How to use business insights to increase your hotel revenue Read further to get completely acquainted with the usage of the revenue reports. Marketing and promoting your hotel is as important as adding salt to the stew. Having said that the blog has 17 best hotel promotion ideas to put into practice for getting the best results. These 17 ideas include the out-of-date as well as up-to-date hotel marketing strategies for you. Each and every strategy is explained thoroughly with definitive examples to assist you in the best way. This extensive blog containing 17 hotel promotion ideas, is less of a blog and more of a hotel marketing manual. Read the manual and get started with the best hotel promotion ideas for your business today.